Apple's iPod had been a blast in the market with its entire prototype. The tremendous appreciation and overwhelming response from the consumers forced Apple extends its product range to the iPhone after the iPod and now they have extended it to iPad. iPad is the tablet pc characterized product form Apple to serve multiple purposes while many term it as an iPod with an A. Some even say that Apple made another iPod and forgot to shrink it so termed it an iPad and called it a tablet PC. iPad and iPod are both available with a built-in storage: 16, 32 and 64 GB in iPad while 8, 32, and 64 in the iPod. 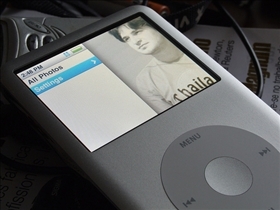 An iPod processor is 400-600 MHz while the iPad has a 1 GHz processor embedded with it in order to run the programs and the other applications associated. Both have no camera. The iPod battery works for 30 hours with a screen of 3.5" while iPad battery runs for 10 hours with a screen display of 9.7". The resolution that iPod maximum renders is 480*320 while that of the iPad is 1024*768. Both the iPod and iPad have two ports by default, the dock connector and audio out. The iPod has Bluetooth network as well as Wi-Fi 11/b/g while in iPad these two plus Wi-Fi 11/a/n and 3G/Edge exist as well. Both can sense multi-touch and both run on Apple OS. In terms of the appearance, the iPod and iPad do not differ a lot apart from the fact that iPad is greater in size as compared to the iPod yet the templates are all the same. The usability though, of iPad, is limited. The price tag is pretty affordable compared to other tablet PCs in the market. It ranges in between $499-829 range while the iPod costs in between $ 279-399. The Apple iPad gives way better resolutions on the screen compared to iPod therefore making the video and image experience more exotic and attractive. The only thing exotic in iPod in comparison the iPad is that it is available in a wide range of colors while the iPad is currently available in a single color with no express-on covers. From the same manufacturer, being of the same shape yet of different sizes: iPod and iPad are made to target users from different demands and requirements. iPod is for music, image and a limited video experience only while iPad renders services way more then these. 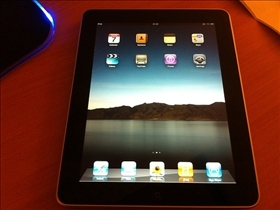 iPad intends to render the consumer market interested in running applications and a bit of the work on the run. iPad gives portability with its light weight compared to the tablet PCs of the same classifications. The quality graphics give its users an exotic gaming experience therefore making it the right choice for entertainment as well. The iWork application on iPad makes it a distinct choice that iPod cannot compete with. Which gadget is a better investment? You can live without multitasking in a phone, but for a tablet that claims to replace a portable computer (laptop), one would expect to have at least the basic capabilities that a computer offers. Multitasking, file browsing, folder storage to say the least. I can live without the camera, though a camera is one of the most obvious attachments in smart devices of the day. This version of iPad is a complete sink tank. I am an avid Apple user and love all their products, but this one doesnt meet expectations. iPhone OS for iPad is definitely not the solution.